Testimonials - Gary's Collision Center - For all your auto body needs! "Brought my 2009 Toyota Corolla in to have the front end repaired after it was crashed into a snowbank. From the time I brought it in to the time it was repaired I was treated with respect and courtesy. The price was fair and there were no surprises. When I picked it up I was amazed at how nice it looked, detailed inside and out, the repairs were outstanding. It looked brand new. I would recommend this place to anyone. Thanks to Gary and the entire staff, I really appreciate the hard work and outstanding customer service." "If you want the best, go to Gary's. We have had 3 vehicles repaired, and every one was PERFECT. ​Thanks Gary.​"
"I wanted to send a quick email to let Gary and his team know how I appreciate the great job they did on my car. The entire process was very smooth and the attention to detail makes a difference. Although I hope we have no need for future services, we will always come to Gary's first for any body work. I came to Gary's at the recommendation of my insurance agent, Jim Stout, and I am certainly glad that I did." We highly recommend Gary's Collision & Customs." "It doesn't get any better than perfection. I swear, you can not find the damaged part that Gary's corrected. While I am not looking forward to another incident, I know, right away, how to reach Gary's! THANKS GARY!" "When I hit the deer and did major front end damage to my 2016 Impala I went to Gary for the repair. He took care of everything from car rental, to repairing the car ASAP. I couldn't be more satisfied with his work. The car looks as good as the day it came off the showroom floor. I will recommend and have to others. Thanks Gary and team." 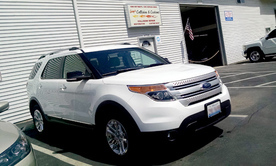 "The body work on my vehicle was minor but I wanted it to look new when completed. This was exactly what happened - I could not be more pleased. Gary is so friendly and very easy to work with!! Thanks." Gary and his staff were very helpful, courteous and professional in handling my repair and the finished job looked great! I recommend them highly. "Gary's was very friendly and professional. I felt very confident that they would do a great job.....which they did!!! My car looks just like the day I bought it. Couldn't be happier. I had my baby back within a little over a day!!! Having the courtesy car was very helpful, I didn't have to adjust any of my daily activities. If you need body repair call Gary's!!!" "WOW! Not only did Gary and the crew do a wonderful job putting back together my vehicle, but the customer service gets an A + + + from me! Gary and Andrea certainly know how to treat people!! Want to take your car somewhere where you will be genuinely cared for and looked out for...this is the place! Always smiling...they go over and above any expectations...extremely competent...great communicators...I could go on and on...stellar place...makes me want to get my car hit again! Ok...maybe not." "From beginning to end, Gary and Andrea were professional and courteous. They kept us informed of what was happening and approximately how long it was going to take. Our car was damaged in an accident and we feel it looks better than when we bought it. Very impressive work. Thank you for a job well done. We will be referring all our friends to you." "The excitement I have of getting my car back, and you can't tell at all that it was hit! Shout out to Gary Altensey and his crew for doing such an amazing job of fixing up my baby! The best part is that they washed it and vacuumed her out so she really looks new! I highly recommend Gary's Collision & Customs in Freeport to anyone!" 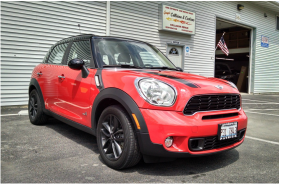 "I took my car to Gary to fix a long deep key scratch and he did an amazing job!!! He had my car done in a few days and it looks like new again. I was able to use one of his loaner vehicles, and it was a nice clean reliable car! Gary was very kind and professional! He definitely made a repeat customer out of me!!!" "Took my car down to Gary after having my passenger door dented from a hit and run. He gave me the quote and explained everything in full detail. anything down to Gary for repair." "Gary was such a help when my car was hit out of the blue and rendered not drivable. He set me up with a rental car so I could get back home to Rockford and was consistently following up with me to let me know the status of my repairs. Once done, my car looked better than when I first bought it. I would definitely recommend Gary's Collision!" "I can't say enough about Gary's Collision. I tore my front bumper off backing out of the garage and it was taken there first time, and he couldn't have been more sincere and caring. His honesty and fast service...all I can say if you need any repairs that's the place to go!!!!!! Thank you again Gary..."
to work with. Thank You." "I cracked up my car pretty good. I had it towed right to Gary's, and from there I did not have to worry about a thing. Gary dealt directly with the other guys insurance and took care of every detail. When my car was done, I picked it up - it looked like brand new! Gary and Andrea are the nicest people you would ever want to deal with, especially when you are going though something like that. 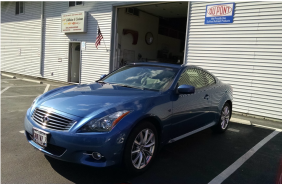 Thank you for the great service and the awesome job you did on my car." "It's always a pleasure to run into one of my former students, but it fills me with pride to see them happy and successful. I couldn't be happier with the work Gary did on my car. It looks like new! I even got a hug! Thank you, Gary." 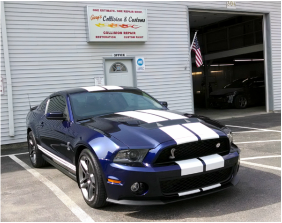 "When a deer found it's way into the path of my 2012 Shelby GT500, I wanted to trade it in. Once Gary and Jamie finished their work, which included a perfect color match on a challenging color, and some professional wet sanding, it looked better than new! 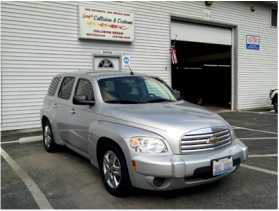 I'm a very picky person when it comes to the appearance of my car and I am very pleased with my decision to trust it to Gary's Collision & Customs, and I would recommend them for any high quality repair or custom paint job." "Gary’s Collision & Customs has done collision repair on my wife’s car - and a complete restoration on our 1958 Corvette. We are very satisfied with the customer service and superior work that Gary does at his shop." Gary Altensey at Gary's Collision! I highly recommend him for all your collision and body damage needs."